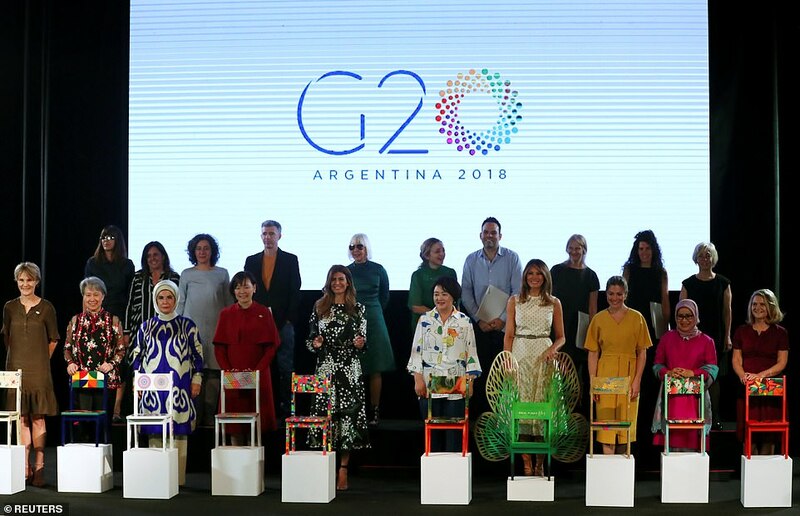 The first ladies of Argentina and the United States visited an art museum with their fellow G20 wives as the summit continued this morning. 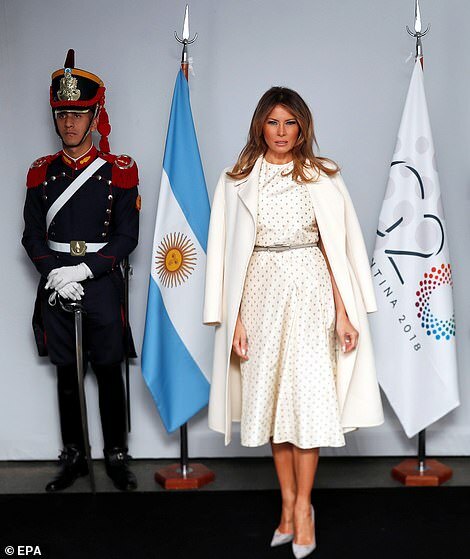 First Lady Melania 48, sported an elegant cream colored coat over a $9,800 custom polka dot Christian Dior dress as she toured the Latin American Art Museum of Buenos Aires. 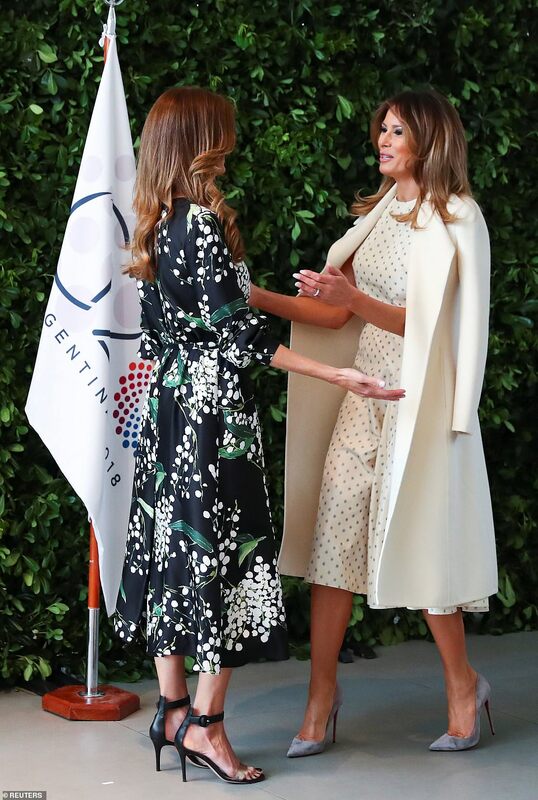 She topped off the look with blown out locks and gray suede pumps. 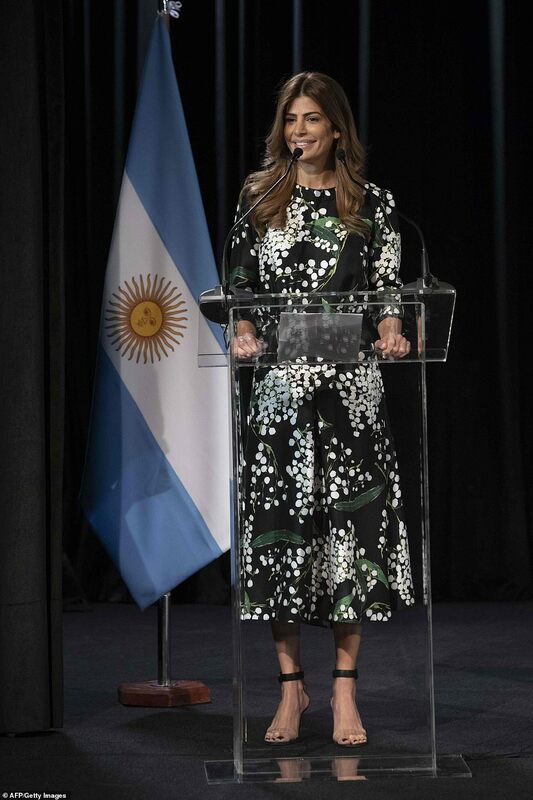 She posed for photos with Juliana Awada, the wife of Argentina’s President Mauricio Macri, as the conference came to a close today. 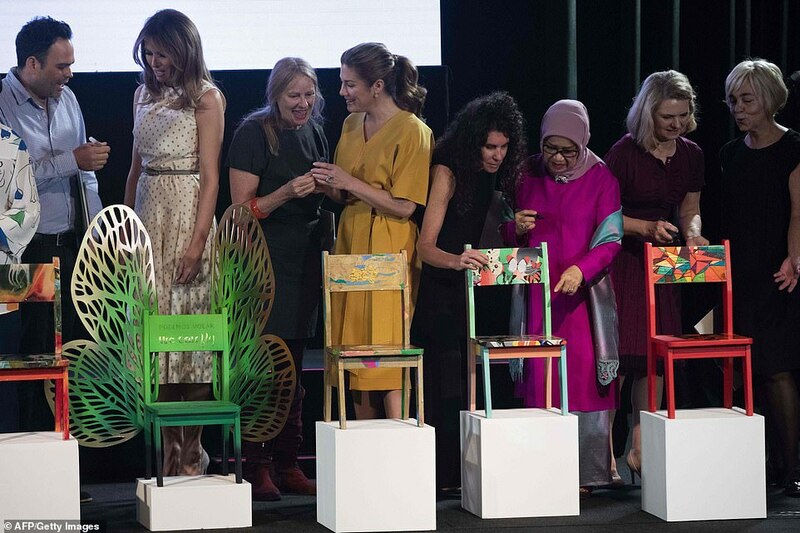 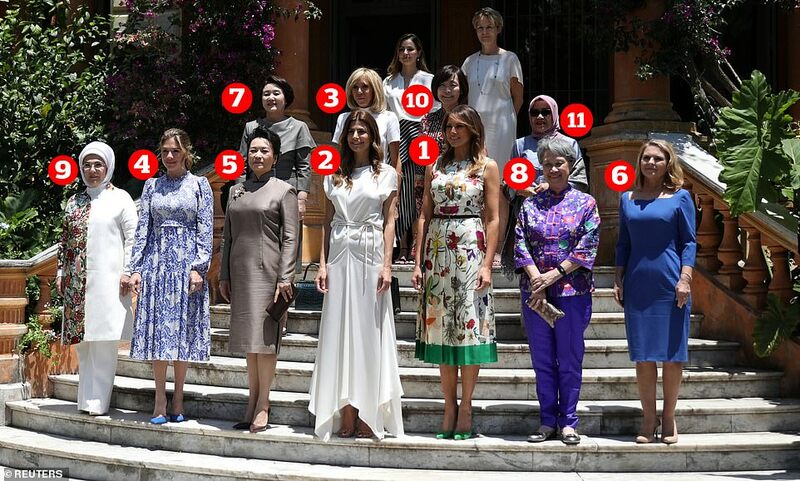 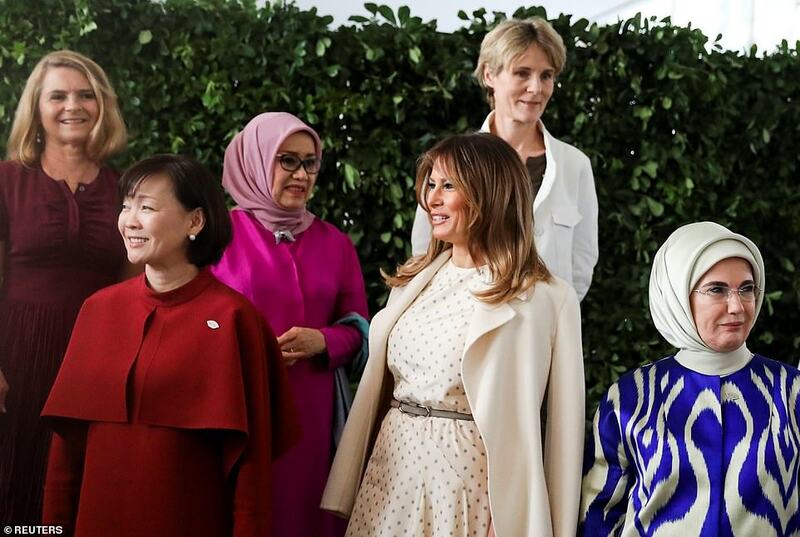 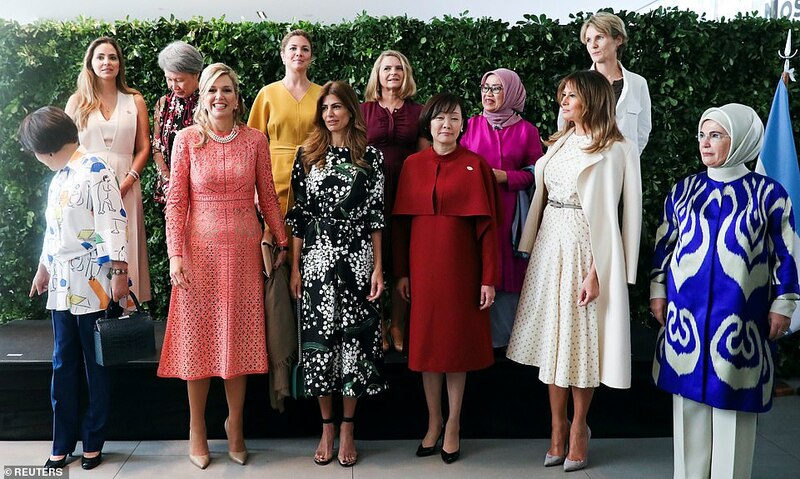 The pair met with fellow partners of world leaders, including Japanese Prime Minister Shinzo Abe’s spouse Akie Abe, Turkish first lady Emine Erdogan, European Council President Donald Tusk’s spouse Malgorzata Tusk, and Canadian Prime Minister Justin Trudeau‘s spouse Sophie Gregoire Trudeau. 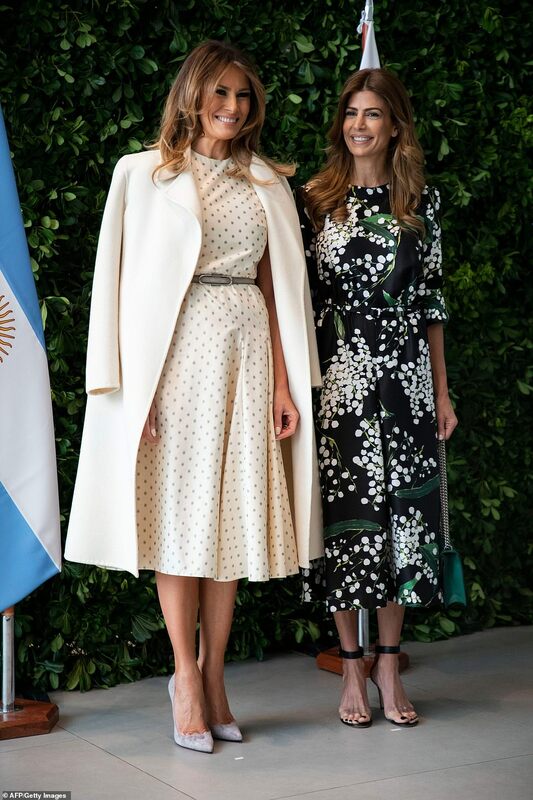 The first ladies took a guided tour of the Latin American Art Museum of Buenos Aires (MALBA), a not-for-profit museum and cultural center which first opened in 2001 in order to promote Latin American artists. 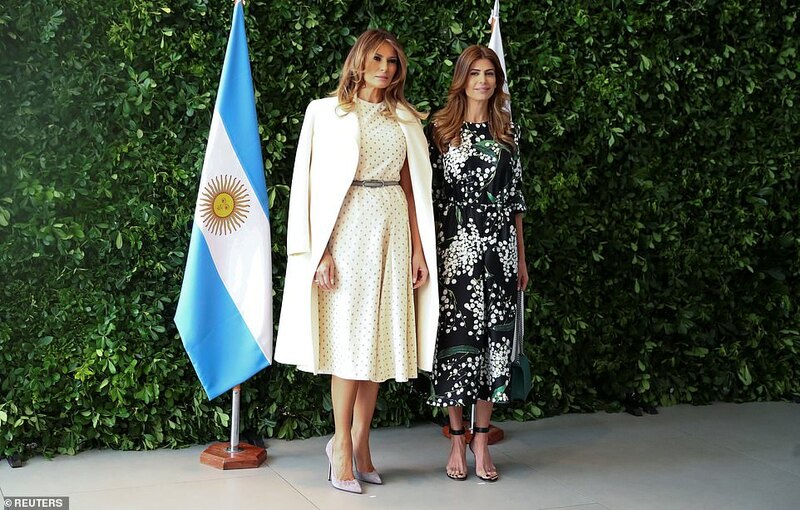 The world’s first ladies began arriving in Buenos Aires on Thursday, ahead of the two-day summit which ends today. 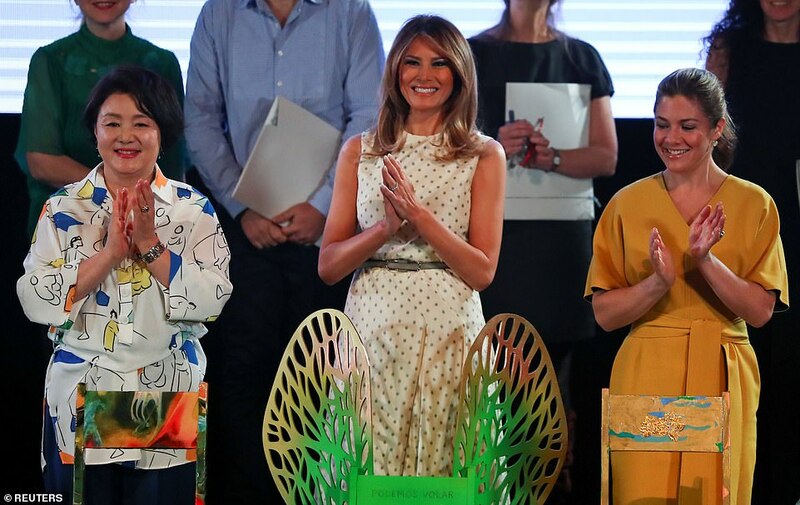 Dakota Johnson goes business casual in blazer and checkered Vans slip-on at Jimmy Kimmel Live! 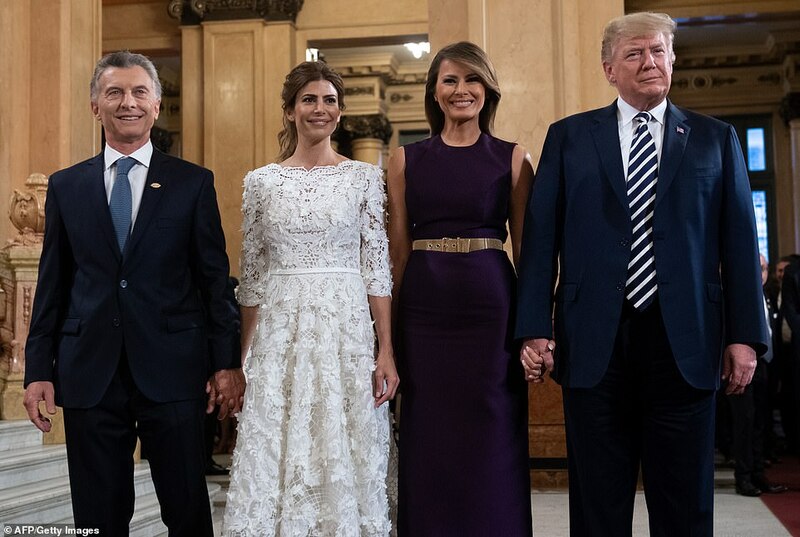 What sort of Brexit DO MPs want?